Ulster Prevention Council (UPC) – Family Services, Inc. 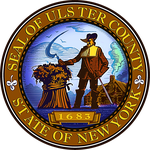 The Ulster Prevention Council works to prevent substance abuse by Ulster County youth and families. UPC provides evidence-based school and community prevention services. UPC Prevention Educators provide a model prevention education service delivery in Ulster County Schools. Too Good for Drugs fosters confidence, self-efficacy and resistance to substance abuse through goal setting and achievement, responsible decision making, positive conflict resolution, and healthy relationships. UPC partners with grassroots initiatives and community coalitions to address local needs, providing training and technical assistance, enhancing communication and avoiding duplication of efforts.